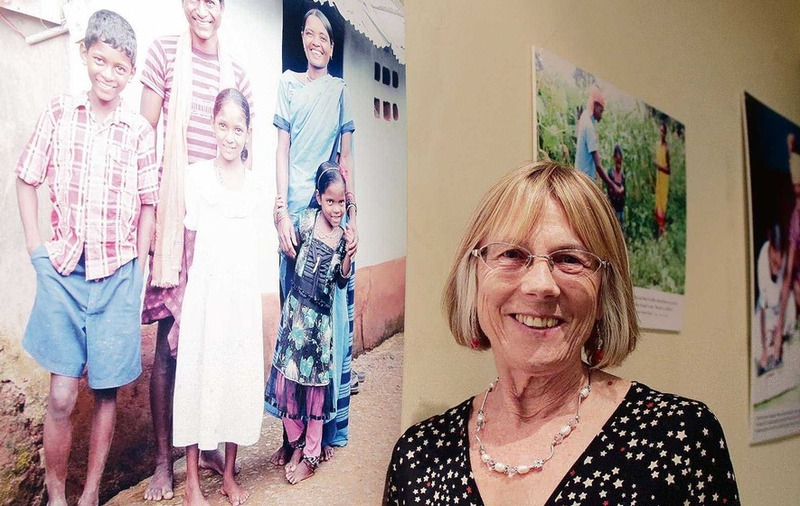 Sally O’Neill Sanchez was an Irish woman and long-time Trócaire aid worker who spent over 40 years in Latin America. On Sunday 7th of March, she, along with her travelling companions Ana Paula Hernández of the Fund for Global Human Rights, and Ana Velásquez of the Consejo del Pueblo Occidente, and Daniel Tuc, their driver, were killed in a tragic road accident in Guatemala. LASC member Val Roche remembers her legacy. Sally O’Neill Sanchez, Irish activist and aid worker, who died tragically on Sunday in Guatemala. Photo by Irish News. Last night I thought a lot about Sally, friend and colleague to many of us. 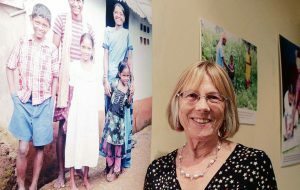 She died as she had lived, working with community organisations and fighting injustices in Central America – indeed, there is no doubt that she was never going to be someone who hung up her boots and ‘retired’. Not our Sally. I met Sally Easter 1967 – exactly 50 years ago this month. We were both applying to CIIR (a UK volunteering agency) to work overseas. We were on an orientation weekend, and together with two other candidates, we were without doubt, the ‘rebel’ group! Sally was always a bit of a rebel. Intrepid, determined, fearless. You definitely wanted to be on her team – anything else would be problematic! I kept in contact with her over the years as we both worked on Central American issues, and bumped into each other here and there. Indeed, if it hadn’t been for Sally, I would not have returned to Ireland. I was in London in the mid ‘80s on a break from Nicaragua when she tracked me down and asked me to come and take over the Central American work in Trocaire while she was on maternity leave. Those three months turned into 4+ years, and I never went back to live in Central America. As well as working together, we raised our kids at the same time, children’s birthday parties, picnics, baby-sitting and lots of glasses of wine! Sally was instrumental in my return to Ireland, but she herself moved to Central America some time in the early ‘90s. She continued to work for Trocaire but was based in the region. From what I hear she was still very much part of the fabric of the organisation, larger than life, and determined to fight for what she believed in. You stood against her at your peril. In Central America she is a legend. As an Irish person, you were always asked “ do you know Sally?” Sally’s husband Roger is Honduran and they settled back there and reared their three children. But El Salvador and Guatemala were also close to her heart and she regularly visited each, and was widely known and recognised for her contribution to the struggles of the social movements. Sally was both inspirational and infuriating! She would not let reality get in the way of a good story, and she could bring an audience around to her way of thinking without a bother – often with statistics which did not seem to correspond to those the rest of us relied on! She was a pro! She would trek up a mountain to visit a remote community or engage with a hostile media reporter without hesitation. Her work output was unquestionably higher than most of us. I met Sally in Honduras last year. She was still involved with a series of projects, still travelling around the region and just as engaged as ever. Working for prisoners’ rights, supporting community projects, still involved in political and human rights issues. The fight for justice was her life, and on the day she died she was together with close colleagues Ana Velasquez and Ana Hernandez from the MesoAmerica Women’s Human Rights Defenders Initiative. Yesterday’s tragedy brings a huge loss to human rights work in Central America and elsewhere, but Sally and the other colleagues who died will be remembered and I have no doubt her memory will drive us all on to renew our commitment to human rights and justice. Val Roche is a member of LASC and PBI (Peace Brigades Ireland). She is a solidarity activist with long-standing ties to movements in Central America.